Between the ocean and the dreamy forest I settled in. I exist happily by twirling on toes. The law of gravity wrecked in a Hippie Ballerina like me. 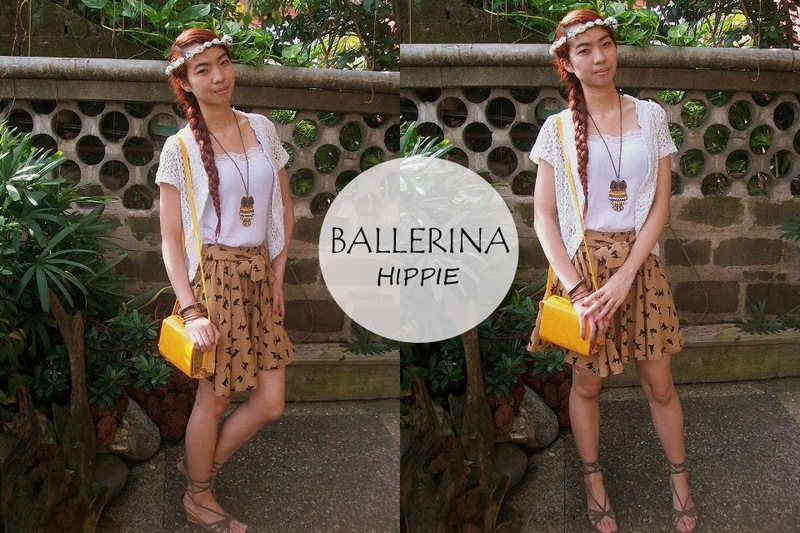 love your outfit, especially the flower crown and the skirt! you look so lovely! i like that little bag alot! Amazing combination. I adore anything cat print and I love flower crowns. The yellow bag is a real stand out. Super cute skirt! I love it! What an adorable outfit, I love the skirt on you and the necklace is also very pretty!